Finally it became time for Soarin'! 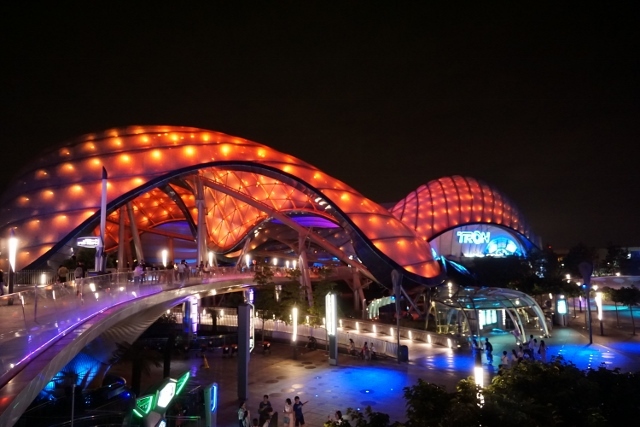 It is an attraction guests ride on a glider, and soar around the world. 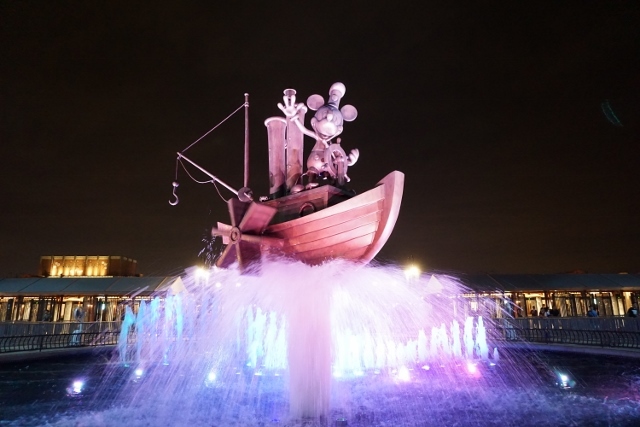 Special affects such as wind and smell make guests feel it as real. No Disney characters inside but I enjoyed so much. I felt I wanted to trip all over the world. 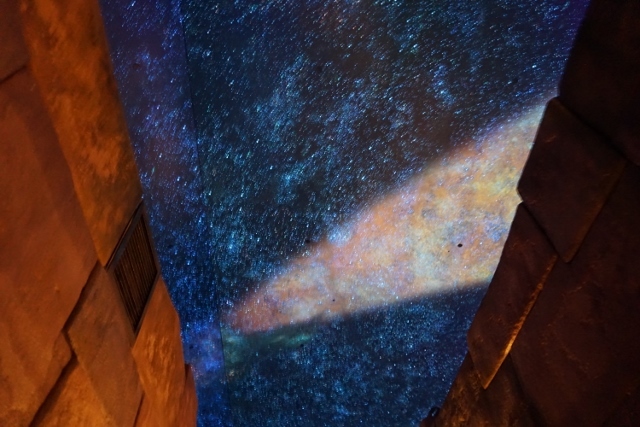 In the waiting line of Fast Pass, I could see beautiful stars. 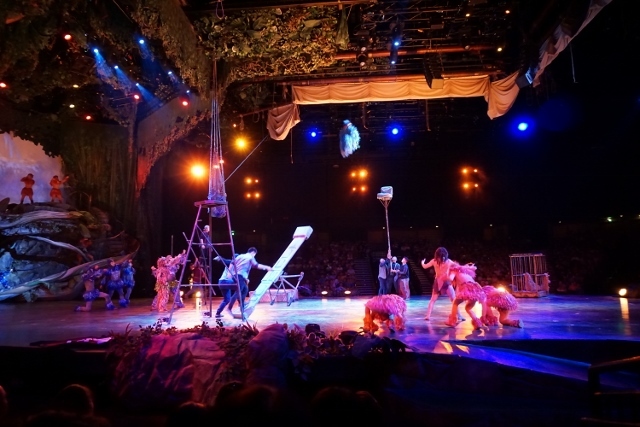 When I walked out from Soarin', Tarzan, a show, was going to start. I saw it on the left side of stage. 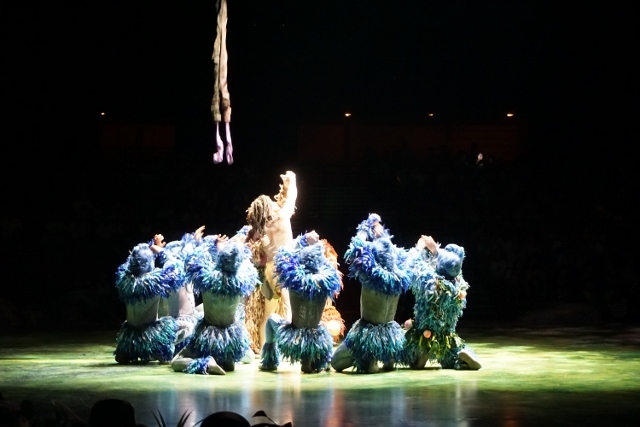 It was like mixture of Chinese-Acrobat show and Tarzan story. 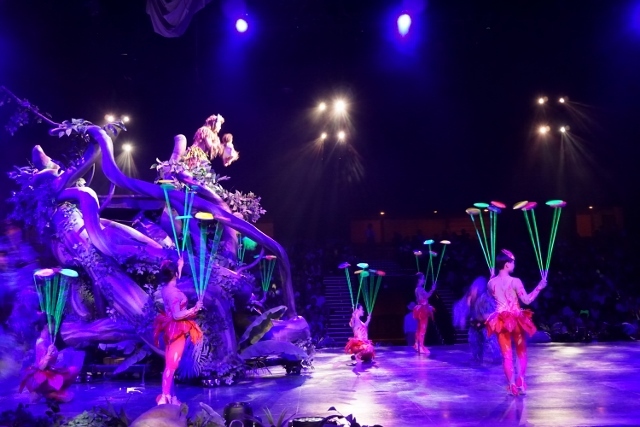 While I planned to watch Chinese-Acrobat-Team show on the next day, I was change my plan because Tarzan was enough to know how their acrobat was great. Cool plate spinning. It became dark outside after the show and less crowded. 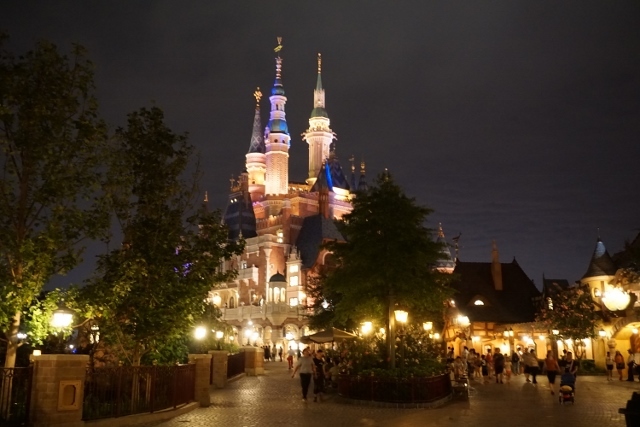 Many guests seemed to be waiting for the fireworks show, Ignite the Dream. Then I tried Peter Pan's Flight. The waiting time was only 15 min. (It was over 50 min in the afternoon). And then....TRON! I really loved this attraction. It said 40 min wait, but my actual waiting time was only 15 min. 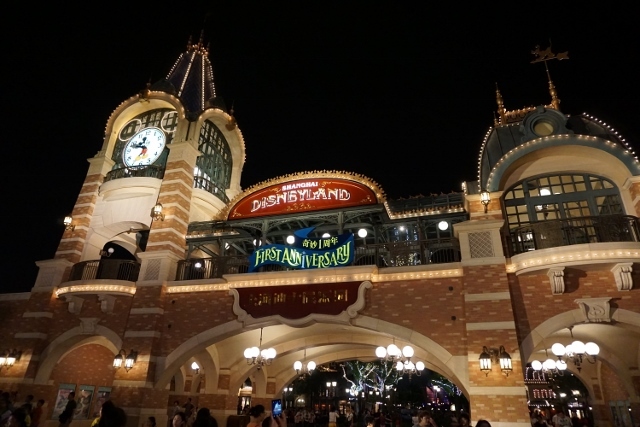 As I got out from TRON after 9:00pm, I walked to entrance gate while taking pictures. Park closure was 10:00pm and the departure of last train of the day was 10:22pm. I had to rush. Guest were sometimes (most of time?) chaotic... See this photo. It was taken after night time entertainment, Ignite the Dream. I was surprised this mess. 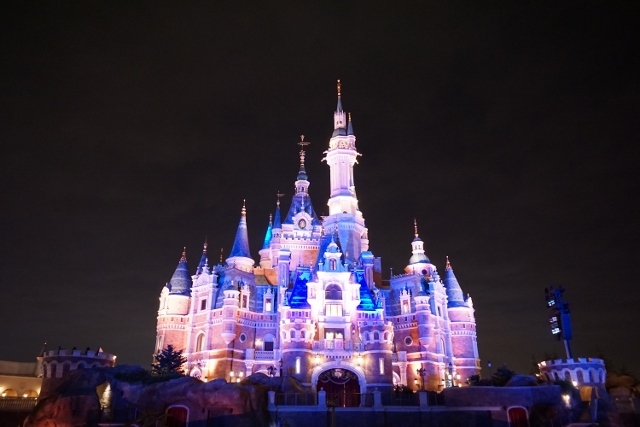 However, Shanghai Disneyland was definitely "Disneyland". 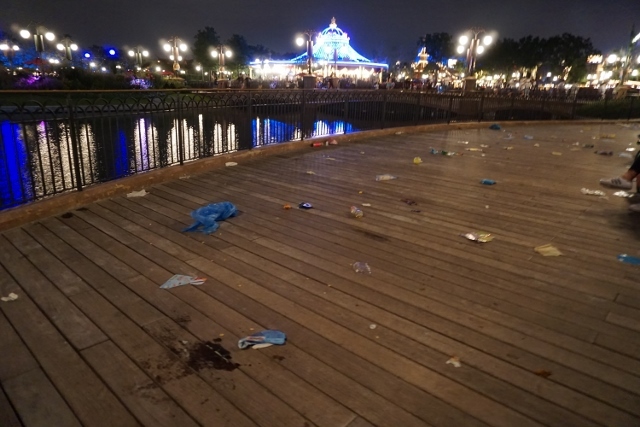 I saw cast members was cleaning this mess. Well trained. Attractions were fantastic. I really enjoyed their new technology. Parades were so so to be honest. This is my impression. 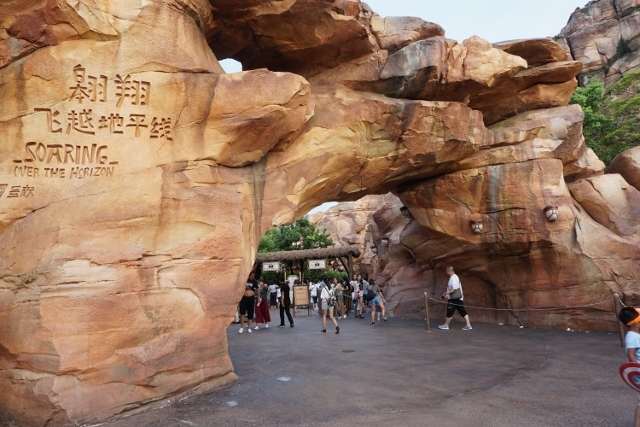 You had better go to Shanghai Disneyland if you are Disney lover, but, I highly recommend to go during off-peak and cool season. I don't want to be in the crowd with people whose personal space is small.